Remembering the days of the Bookies,I recall the first one,he was the local milkman,name Mr Clackett from Peel St,he drove a pony & trap cart,delivering milk from a churn on one side a pint or quart,and placed your Bets in the other.In later years became licenced and opened betting shop in Foundry Road/James Turner Street corner. The bookies in those days had lookouts,watching for the police,and I remember the day that they raid the bookies in our Don Street, I heard the lookout Wally Bright shout to the old lady the cops are coming. The police arrived in a open top car,and one of them was carrying a bucket,they called Mrs Peck open the doors,but she would not let them in, they smashed the door open to enter, with the old lady screaming leave me alone. Later I found out the reason for the bucket, it was cement to seal up a letter box in the entry were people used to drop their bets in. The Bookmaker was named Ernie Hunter from Devonshire Streer. DON STREET. 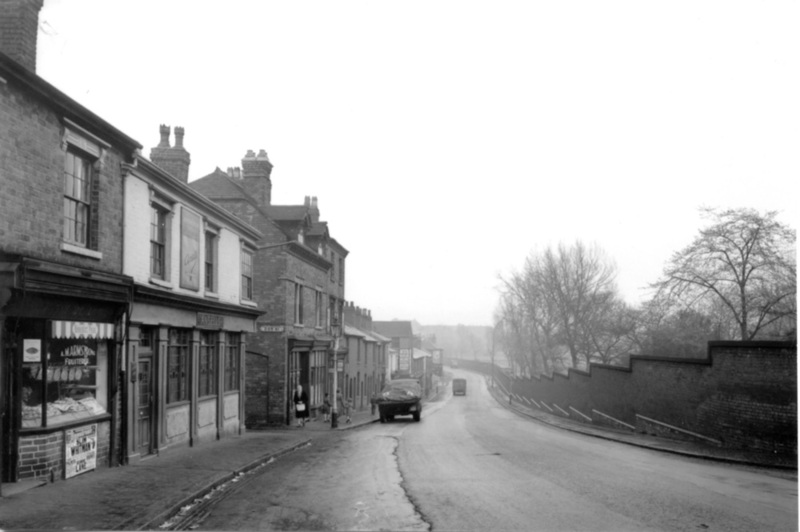 I was born in Don Street we lived right opposite a scrap yard, and on the corner was a pub called "The Don".The local sweet shop was just on Lodge Road called Goodacres any one remember it? I also remember All Saints Hospital and recall the patients would at times jump over the wall to escape. The Recreation Ground (Rec) in Musgrave Road and the gully that lead to Talbot Street were places we played for many an hour. LODGE ROAD WITH DON STREET ON THE LEFT. I'd be very interested in anyone with any recollections of Harriet Heath who lived in Don Street. "I was born in 1911, and my father was killed in that war, in the Battle of the Somme in 1916. My mother was left with 5 children: Auntie Kay, Uncle George, Uncle Bill, Uncle Tommy, and of course myself (age 5). (She re-married later as you know) So you can imagine the hard times being with us the same as Kathleen Dayus the author depicts - they certainly were! We as a family never went Hop-picking - thank God! But we knew of it and many families in our area were quite familiar with the proceedings related to it. I do remember, bread and lard, and bread and dripping and fish and chips for 3d. We used to get a penny on a Monday and 2d on a Saturday from our Mother's pension, and run anyone's errands for a few coppers. With the 2d on a Saturday we used to go to the afternoon matinee at Winson Green Picture Palace and we used to think it wonderful and terrifically exciting as kids, but if we spent any of the 2d we'd had it, couldn't go in. I remember crying on one occasion, because I'd bought a pennyworth of shrimps, and one of my DAD'S army mates gave me 2d to go in."